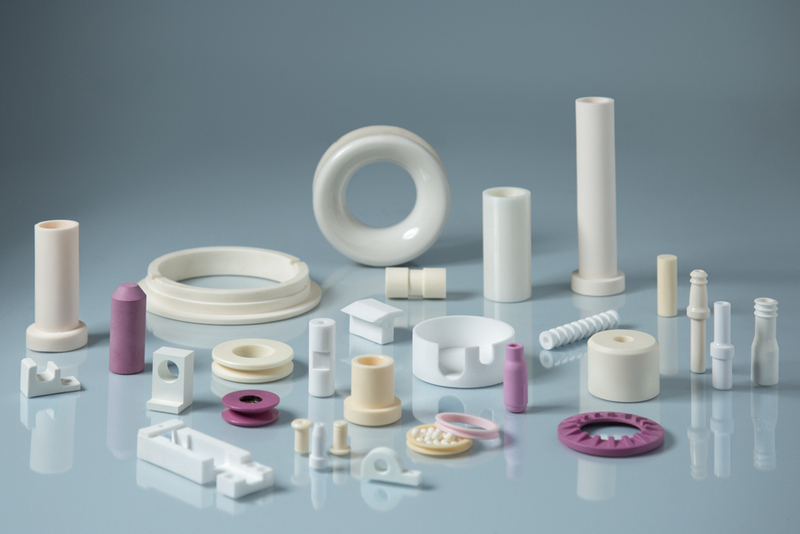 Ceramic Rods – LSP Industrial Ceramics, Inc.
Because of ceramic rods’ limited capacity for load-bearing, and because they can’t be used to transmit wires and cords like ceramic tubing, ceramic rods are generally limited to a few applications. Ceramic rods can be created in several ways, but among the most efficient and effective means of ceramic rod creation is extrusion. Extrusion is the process of forcing molten material through a die in order to shape it. A die is a metal plate with a specially-shaped hole cut through it. The extrusion process begins with a collection of raw material. In the case of ceramics forming, that raw material can be aluminum oxide (also known as alumina), silicon carbide, zirconia and many other similar materials. Those materials are suspended above a conveyance channel in a hopper. Gravity is used to release the suspended materials into the cavity. Once in the cavity, the materials are heated to their melting points and pressurized. Heating and pressurizing raw ceramic materials makes them workable; once melted they can be forced through the die, and as they pass through the die they take its shape. In the case of rod extrusion, the die shape can be as simple as a circle; this will produce a long cylinder as material is forced through it. Once the material emerges on the other side of the die, it has become a newly extruded ceramic rod. At this point the rod can be cut and prepared for shipment or additional processing if necessary. Ceramic Rods Ceramic rods are widely used as knife sharpeners, as decorative embellishments on furniture and even in some aerospace applications; some high performance ceramic rods have been used in jet engine systems.